Know-how and excellence of these legendary eyeglasses. 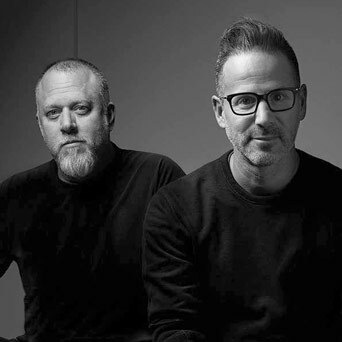 Longstanding friends and both passionate about design and photography, Jeff Solorio and John Juniper created the Dita eyeglass collection in 1996. Entirely handmade in Japan in the finest materials: Japanese acetate, titanium, 18K gold or white gold, Dita eyewear have since become synonymous with expertise and luxury. Their reinterpretation of eyeglasses from the 50's to the 80's, matching emotion and rock spirit for the frames, where every detail is perfect right down to the hidden parts. Our selection of Dita eyewear allows one to appreciate the remarkable consistency of the quality of the collection and the philosophy of excellence of its creators.